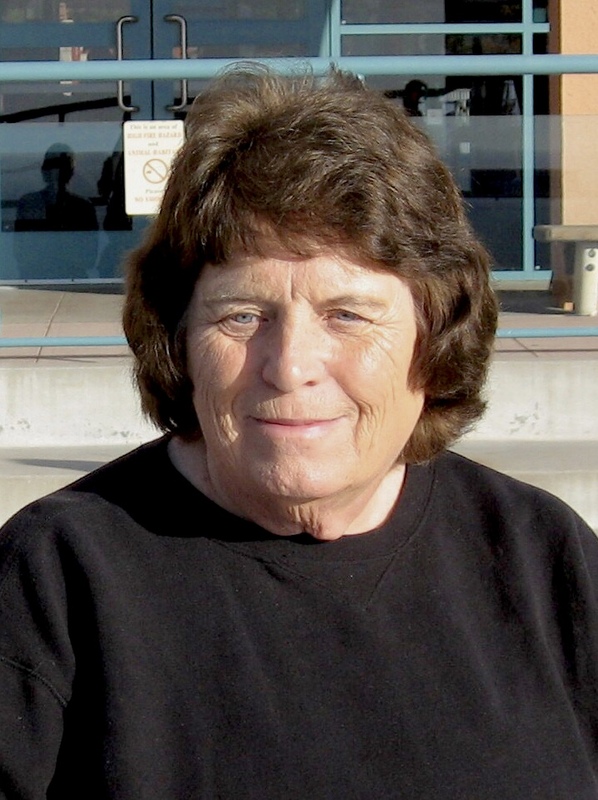 Lynda Mitchell Green, age 78, passed away on April 5, 2019, at home in LaVerkin, Utah, with her son by her side after battling health problems for several years. She was born on July 9, 1940, in Cedar City, Utah, to Carlyle B. and Kathleen Stones Mitchell. She was the oldest of five children. She grew up living in Paragonah, Parowan and Cedar City, Utah, spending her time with her many close cousins and learning from and helping her grandparents and parents. She was raised on and around the farm during her childhood and learned the value of hard work and how to do the many tasks that go along with farm life – like bottling fruit, making jam, butchering meat, sewing, quilting, cooking, gardening, caring for the animals and for kids. During high school she met and married W. R. “Bud” Green. Together they had four children. During their years together, they owned and operated Bud’s Sports Sales, selling motorcycles and snowmobiles. Most of the time away from work revolved around these activities, where they met many lifelong friends. Together with the help of family and friends they built a real log cabin at Navajo Lake, that still stands today after almost 60 years. Following their divorce, she spent the next 20 years working in the medical field. The first 10 years she worked at Valley View Medical Center as a CNA, medical assistant, in the business office, admissions, ward clerk and in the emergency room. During this time, she made many close friends and remained very close to several of them. Also, during this time and the remainder of her life she dedicated and sacrificed much of her life and time to caring for her youngest son with his many health challenges and surgeries. In 1989 she decided to follow one of her dreams to live by the ocean – so she and her son, along with a friend and her two kids, moved to Southern California for a couple of months, then on to live in Rosarito Beach, Baja, Mexico, where she lived 100 yards from the beach. During this time, she worked in Chula Vista, California, at Scripps Hospital emergency room. After a couple of years in Mexico she moved back closer to home, first to Overton, Nevada, working at the medical clinic there for a year. Then she moved to Washington City, Utah, where she managed a chiropractic clinic for her “best boss” Dr. Michael Hobson. She then decided to give the medical field a rest and followed another dream to own and run her own gift shop selling handcrafted gifts. So, in 1999, in Springdale, Utah, she opened her gift shop – Dreams Do Come True. After her lease ran out two years later she was forced to close. She then worked at a motel in Springdale for a year. She and Bret built their home in LaVerkin and due to her health, she had to stop working. Lynda’s life has been dedicated to her family, which has always been most important. She especially cherished her time as a grandmother spending and enjoying time with her grandchildren and great-grandchildren. She always found ways to serve those around her. She loved the mountains, the beach, visiting with friends, traveling, crafting, sewing, crocheting, reading, puzzles, canning, winning at Yahtzee at the cabin, and she holds the family title for the Easter Egg Fighting Champion. She was a faithful member of The Church of Jesus Christ of Latter-day Saints. She served in many callings during her life and had a strong testimony of the Gospel. She is survived by her four children, Mark of Cedar Mountain, Todd (Marilyn) of Cedar City, Debby (Lief) Condie of Cedar City, Bret of LaVerkin; her seven grandchildren and six great-grandchildren (with two more on the way); her three siblings, Blair (Carla) Mitchell of Washington City, Susan (Jay) Adams of Cedar City, and Carla Fullerton of Cedar City. She was preceded in death by her parents Carlyle and Kathleen Mitchell, her grandparents Daniel Amasa “D.A.” and Leona Stones, Frank and Phebe Jane Mitchell, and many aunts and uncles. A graveside service will be held prior to interment on Thursday, April 11, at 1 p.m. at the Paragonah, Utah Cemetery. The family will be holding a celebration of life for Lynda at a later date.